The 3rd Cardiology Clinic offers comprehensive cardiology care. 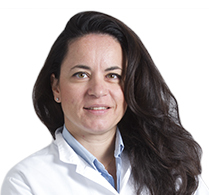 It is structured following the bylaws and rules of leading units in Europe and the USA, in a way that all aspects of modern care in both acute and non-acute cardiology are continually available at HYGEIA Hospital. 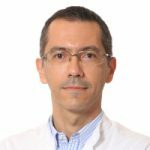 It is led by Dr D Katritsis, Hon Consultant Cardiologist at St Thomas’ Hospital, London, UK, and until recently member of the Faculty of Harvard Medical School, Boston, USA. 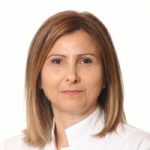 Dr Katritsis has published more than 300 articles in peer-review international journals and is the Editor-In-Chief of Arrhythmia and Electrophysiology Review, a journal affiliated with the European Heart Rhythm Association. His textbook Clinical Cardiology is a best-seller of Oxford University Press and has been Highly Commended in the Cardiology category of the 2017 BMA Medical Book Awards for the BMA Medical Book of the Year. There are several research projects running in the Clinic in collaboration with teaching hospitals of Harvard Medical School, the Department of Applied Mathematics of the Brown University in the US, and the University of Cambridge. Current research interests of the team include the study of coronary circulation and myocardial infarction with the use of computational fluid dynamics (CFD), the evidence-based indications of coronary intervention, nanotechnology applications for the detection and assessment of coronary artery disease, and the ablation therapy of cardiac arrhythmias, and especially atrial fibrillation, with the use of conventional as well as innovative nanotechnology methods. All kinds of complex coronary angioplasty are performed, including left main stem bifurcation stenting, retrograde recanalization of chronically occluded coronary arteries, and primary angioplasty for the treatment of acute myocardial infarction. Primary angioplasty is the standard treatment for acute myocardial infarctions in leading centres of the world, and has replaced fibrinolysis techniques. It is offered by a stand-by team, 24 hours a day. There are also facilities for functional assessment and of coronary stenosis by invasive and non-invasive fractional flow reserve (FFR), and intracoronary imaging by ulstrasound (IVUS) and optical coherent tomography (OCT). 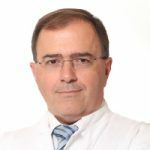 The team has extensive experience on every aspect of human electrophysiology, with Dr Katritsis being the current co-chair of the committee for the preparation of the European Society of Cardiology Guidelines for Supraventricular Tachycardias. All kinds of catheter ablation are being performed including ablation for atrial fibrillation, ventricular tachycardia, and epicardial ablation. 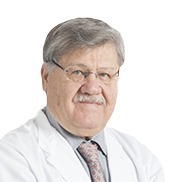 In 1996 Dr Katritsis published one of the first attempts in the world for ablation of atrial fibrillation and since then he has developed new techniques for the eradication of this common arrhythmia. Holter ECG monitoring and implantable monitoring devices are available, and there is also a fully equipped dedicated Syncope Unit. Facilities for genetic testing of channelopathies and cardiomyopathies are also provided. All kinds of cardiac devices are being implanted, including cardiac pacemakers, cardioverter defibrillators, and cardiac resynchronization devices for the treatment of intractable heart failure. There is also considerable experience in old intracardiac leads extraction and treatment of infected devices and endocarditis. The Clinic runs a pacemaker/defibrillator evaluation clinic on a daily basis. 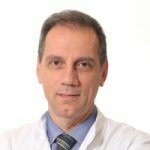 Dr Katritsis has performed the first Inoue mitral valvuloplasty in Greece in 1994, and the first balloon aortic valve dilatation in 1995. The Clinic offers all kinds of structural interventions, including Inoue mitral valvuloplasty, transcatheter aortic valve replacement (TAVR), MitraClip implantation, and closure of atrial septal defects and left atrial appendage. The echocardiography laboratory offers 3-dimensional imaging, trans-oesophageal echo, and stress echo assessment. Follow-up of the ventricular function of patients subjected to chemotherapy, through assessment of global longitudinal strain, is also available. Services are offered on a 24h-basis for the facilitation of atrial fibrillation cardioversion, and diagnosis of aortic dissections.